During the Thanksgiving season, which at least on social media begins on November 1, we often get to hear what so many people are thankful for. We get a daily dose of thankful words from our Facebook friends with hashtags like #NoticingGrace. The “Living” or “Religion” sections of our newspapers and online news services have opinion pieces on thankfulness – “20 Reasons to be Thankful” “How to be Thankful Around Your Disagreeable Family Members” “Being Thankful in a Time of Terror” “How Being Thankful is Good for Our Bodies”…and the list goes on. 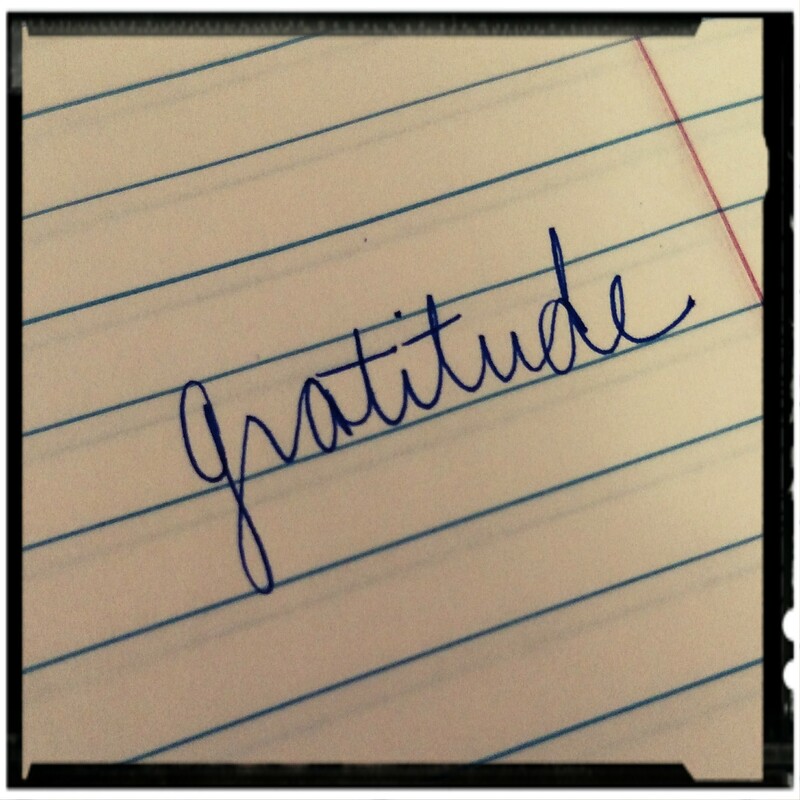 Thinking about thankfulness has made me wonder what exactly we are overcoming with our gratitude. Unlike the authors who are excited that gratitude lowers blood pressure (which, yes, is fantastic), I was more curious about what gratitude, and not just the November short-term version, does for our souls. What is it about our human struggle that thankfulness helps? The answer is: probably a lot of things. But one in particular came to my mind that I think influences much of our spiritual and bodily lives, one I struggle with daily – Anxiety. I read the Matthew passage above and very much want to be consistently non-anxious, knowing how much God provides and is among us. I want to be able to trust that much. Yet, life throws curveballs: I am busy, I get overwhelmed, tragic and frustrating things happen. And off goes any hope of that non-anxious existence. Theologian Paul Tillich says that a major function of being human is our tendency toward anxiety. And he says it is not just about anxiety given to us by life’s circumstances, but that our very existence is anxious about its being. In his book The Courage to Be, Tillich tells us that anxiety is a deeply-rooted problem of humanity grounded in our fear of nonbeing – that we have an end. This leads to feelings of meaninglessness and emptiness. We are inherently worried creatures. Being anxious is not the end game, and there are ways to accept our anxieties of nonbeing while simultaneously moving toward fully being. But how do we do this? Jesuit theologian Anthony de Mello said, “You sanctify whatever you are grateful for.” In other words, cultivate that which is not anxious; be thankful. By doing this, you make holy and important those things instead of your anxiety. This kind of gratitude does not come easily, though, especially when we are already in the throes of anxiety. It likely will take small steps of movement toward gratitude before we begin to slowly turn away from our worry. Taking moments every day (and not just every day in November) to be thankful for the small things – birds, lilies of the field, fluffy dogs, sunshine – can provide little movements toward a wholeness of being that keeps us from focusing our anxiety of nonbeing. Jesus wants us to take time to notice what is right here in our midst. He calls us to believe that God is among us in everything, providing daily reminders of our relationship to God’s hope in the small parts of life that provide us joy and hope. By being thankful for these small things, we take steps toward wholeness that decrease the anxiety in our souls and make living a more joyous undertaking. Being thankful is the antidote to our worry – by placing our attention on that which is holy and wonderful, we look away from that which we cannot change. By seeing the birds, lilies, food to eat, homes to live in, friends and family – we look away from the sickness, struggle, depression, and death. May we be a grateful people, able to heal our souls of anxiety through the grace of gratitude, this season and all year round! Note that I and others are fully aware of the legitimate need for medical and therapeutic intervention for anxiety and depressive disorders that keep us from being able to find gratefulness – but once someone is able to be grateful again, perhaps after talk therapy or medication, the advice to find small moments of gratitude to move toward fullness of being still applies as we tend to our souls.